Express your deepest sympathies for the loss of a loved one in a very thoughtful way with this gracious and comforting plant. 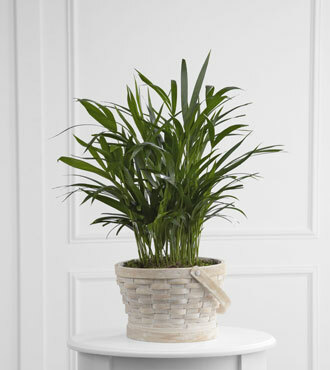 The FTD® Deeply Adored™ Palm Planter has vibrantly green foliage that extends from a round whitewashed basket. This calm and serene planter is perfect for someone in need of a little extra comfort during a period of grief and loss. Order today for same day flower delivery. Include a personalized gift message with your own sentimental thoughts.